**ORIGINAL MSRP $46,700** **MERCEDES-BENZ CERTIFIED** **4MATIC®** **PANORAMA SUNROOF** **Blind Spot Assist** **Heated Front Seats** **KEYLESS GO** **Panorama Sunroof** **Premium 1 Package** Rear-View Camera, SiriusXM Satellite Radio, Surround Light Mirror Mounted Entry Lamps. 2016 Mercedes-Benz C-Class 24/31 City/Highway MPG Odometer is 12213 miles below market average! Morrie's Mercedes Benz of St. Paul stands adamant that the experience of selecting and acquiring a luxury vehicle reflect the craftsmanship and performance of the vehicle itself. We offer an uncommon shopping and ownership experience, personally tailored to your interests, needs and schedule, resulting in an effortless, joy filled engagement. Each offering within our curated used collection is vetted, inspected and reconditioned by Morrie's Luxury Auto giving you the utmost confidence when selecting your new vehicle. Reviews: * Broad range of engine choices; quiet, upscale and well-built interior with a roomy backseat; long list of standard safety and technology features. Source: Edmunds -**ORIGINAL MSRP $46,700** **MERCEDES-BENZ CERTIFIED** **4MATIC®** **PANORAMA SUNROOF** **Blind Spot Assist** **Heated Front Seats** **KEYLESS GO** **Panorama Sunroof** **Premium 1 Package** Rear-View Camera, SiriusXM Satellite Radio, Surround Light Mirror Mounted Entry Lamps. 2016 Mercedes-Benz C-Class 24/31 City/Highway MPG Odometer is 12213 miles below market average! **ORIGINAL MSRP $49,780** **MERCEDES-BENZ CERTIFIED** **4MATIC®, **PREMIUM PACKAGE 2** **PANORAMA SUNROOF** **Blind Spot Assist, **Burmester Premium Sound, **Heated Front Seats, **KEYLESS GO, **LED Headlamps, **Panorama Sunroof, **PARKTRONIC with Active Parking Assist, Premium 2 Package, **Rear-View Camera, SiriusXM Satellite Radio, Surround Light Mirror Mounted Entry Lamps. Certified. Mercedes-Benz Certified Pre-Owned Details: * Transferable Warranty * Warranty Deductible: $0 * 165 Point Inspection * Includes Trip Interruption Reimbursement and 7 days/500 miles Exchange Privilege * Vehicle History * Limited Warranty: 12 Month/Unlimited Mile beginning after new car warranty expires or from certified purchase date * Roadside Assistance 2016 Mercedes-Benz C-Class 24/31 City/Highway MPG Odometer is 26597 miles below market average! Morrie's Mercedes Benz of St. Paul stands adamant that the experience of selecting and acquiring a luxury vehicle reflect the craftsmanship and performance of the vehicle itself. We offer an uncommon shopping and ownership experience, personally tailored to your interests, needs and schedule, resulting in an effortless, joy filled engagement. Each offering within our curated used collection is vetted, inspected and reconditioned by Morrie's Luxury Auto giving you the utmost confidence when selecting your new vehicle. Reviews: * Broad range of engine choices; quiet, upscale and well-built interior with a roomy backseat; long list of standard safety and technology features. Source: Edmunds -**ORIGINAL MSRP $49,780** **MERCEDES-BENZ CERTIFIED** **4MATIC®, **PREMIUM PACKAGE 2** **PANORAMA SUNROOF** **Blind Spot Assist, **Burmester Premium Sound, **Heated Front Seats, **KEYLESS GO, **LED Headlamps, **Panorama Sunroof, **PARKTRONIC with Active Parking Assist, Premium 2 Package, **Rear-View Camera, SiriusXM Satellite Radio, Surround Light Mirror Mounted Entry Lamps. 2016 Mercedes-Benz C-Class 24/31 City/Highway MPG Odometer is 26597 miles below market average! **ORIGINAL MSRP $60,515** **MERCEDES-BENZ CERTIFIED**,**PREMIUM PACKAGE** **LANE TRACKING PACKAGE** *HEATED STEERING WHEEL** **TRAILER HITCH** **HARMAN /KARDON Logic 7® SURROUND SOUND SYSTEM** **BLUETOOTH **, **USB/MP3 COMPATIBLE**, **REARVIEW CAMERA**, **SUNROOF/MOONROOF**, **NAVIGATION/GPS**, **HEATED SEATS**, **ONE OWNER**, **ACCIDENT FREE**, **ALL WHEEL DRIVE**, **GREAT CONDITION**, **PRICED TO SELL**, **NON-SMOKER**, 4MATIC®, Black with MB-Tex Leatherette Seat Trim, 115V AC Power Outlet, 19 Twin-5-Spoke Alloy Wheels, Auto-Dimming Mirrors, Auto-Dimming Side & Rearview Mirrors, Blind Spot Assist, Double Sun Visors, Driver Memory Seat, iPod/MP3 Media Interface Cable, Lane Keeping Assist, Lane Keeping Assist Package, Lane Tracking Package, Media Interface, Mutli-Year Update for Navigation, Power Folding Mirrors, Power Tilt/Telescoping Steering Column, Premium 1 Package, Radio: COMAND® System with Navigation, Rear-View Camera, SIRIUS XM Satellite Radio. 2015 Mercedes-Benz M-Class Morrie's Mercedes Benz of St. Paul stands adamant that the experience of selecting and acquiring a luxury vehicle reflect the craftsmanship and performance of the vehicle itself. We offer an uncommon shopping and ownership experience, personally tailored to your interests, needs and schedule, resulting in an effortless, joy filled engagement. Each offering within our curated used collection is vetted, inspected and reconditioned by Morrie's Luxury Auto giving you the utmost confidence when selecting your new vehicle. Awards: * 2015 IIHS Top Safety Pick+ Reviews: * Whether you're looking for a 5-passenger luxury SUV that can sip the least fuel possible, a luxury SUV that can rip to 174 mph, or a luxury SUV that splits that difference one way or the other, the 2015 Mercedes-Benz M-Class is a good bet. Source: KBB.com * Very fuel-efficient diesel; very quick gasoline engines; serene ride; rich interior appointments; roomy backseat; top crash scores. Source: Edmunds * Every element of the 2015 M-Class cabin is thoughtfully engineered and elegantly crafted to make you feel at home, and in control, on any road. The standard 19-inch alloy wheels further accent the already stark design of the M-Class. Bright white LED Daytime Running Lamps help increase the visibility of your vehicle to oncoming traffic by illuminating front lights whenever the car is switched on. On the inside, wood trim adorns the console, dash, steering wheel and doors. MB-Tex upholstery offers a rich appearance and supple leather-like feel, even in cold weather. Electrically heated front seats quickly take the chill out of even the coldest day. 60/40 split-folding rear seat backs with flip-forward seat cushions allow for a truly flat cargo floor. The Cockpit Management and Data (COMAND®) system features a high-resolution color-LCD display. This is utilized to manage audio, video, and other hands free calling and navigation functions. The M-Class features a 302hp 3.5L V6 with up to 6,600lbs of towing power or a 329hp or 3.0L biturbo V6 with 7,200lbs. The 7-speed automatic has been made even smoother, more responsive and more efficient while paddle shifters allow you to manually upshift and downshift with just a flick of your fingers. Powerful 4-wheel disc brakes grant you the all of the stopping power that you need. Mercedes-Benz is concerned with keeping the family safe, and the quality of the safety options present on the M-Class is proof of that. A suite of standard air bags offers advanced protection. A driver's knee air bag supplements the dual-stage front air bags. Enjoy the strong, controlled stopping power of dual-circuit power-assisted 4-wheel disc brakes, backed by an Antilock Braking System. Source: The Manufacturer Summary -**ORIGINAL MSRP $60,515** **MERCEDES-BENZ CERTIFIED**,**PREMIUM PACKAGE** **LANE TRACKING PACKAGE** *HEATED STEERING WHEEL** **TRAILER HITCH** **HARMAN /KARDON Logic 7® SURROUND SOUND SYSTEM** **BLUETOOTH **, **USB/MP3 COMPATIBLE**, **REARVIEW CAMERA**, **SUNROOF/MOONROOF**, **NAVIGATION/GPS**, **HEATED SEATS**, **ONE OWNER**, **ACCIDENT FREE**, **ALL WHEEL DRIVE**, **GREAT CONDITION**, **PRICED TO SELL**, **NON-SMOKER**, 4MATIC®, Black with MB-Tex Leatherette Seat Trim, 115V AC Power Outlet, 19 Twin-5-Spoke Alloy Wheels, Auto-Dimming Mirrors, Auto-Dimming Side & Rearview Mirrors, Blind Spot Assist, Double Sun Visors, Driver Memory Seat, iPod/MP3 Media Interface Cable, Lane Keeping Assist, Lane Keeping Assist Package, Lane Tracking Package, Media Interface, Mutli-Year Update for Navigation, Power Folding Mirrors, Power Tilt/Telescoping Steering Column, Premium 1 Package, Radio: COMAND® System with Navigation, Rear-View Camera, SIRIUS XM Satellite Radio. **ORIGINAL MSRP $62,570** **MERCEDES-BENZ CERTIFIED** **PREMIUM PACKAGE** **PARKING ASSISTANCE** **LANE TRACKING** **NAVIGATION** **HARMON KARDON SOUND** **TRAILER HITCH**, 115V AC Power Outlet, 19 5-Spoke Alloy Wheels, Accessory Chrome Package, Brushed Aluminum Running Boards, Chrome Door Handle Inserts, harman/kardon® Logic 7® Surround Sound System, Heated Multifunction Steering Wheel, Hood Fin Covers, KEYLESS GO, Lane Tracking Package Code, Navigation System, Navigation Updates For 3 Years, Parking Assist Package, Parking Package, PARKTRONIC with Active Parking Assist, Premium Package, Radio: COMAND® System with Navigation, Region Coding, Single DVD Player, SIRIUS XM Satellite Radio, Surround View Camera System, Trailer Hitch. 2016 Mercedes-Benz GLE Odometer is 13068 miles below market average! 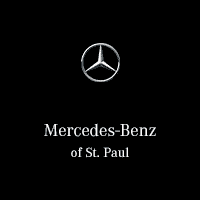 Morrie's Mercedes Benz of St. Paul stands adamant that the experience of selecting and acquiring a luxury vehicle reflect the craftsmanship and performance of the vehicle itself. We offer an uncommon shopping and ownership experience, personally tailored to your interests, needs and schedule, resulting in an effortless, joy filled engagement. Each offering within our curated used collection is vetted, inspected and reconditioned by Morrie's Luxury Auto giving you the utmost confidence when selecting your new vehicle. Reviews: * Broad range of engine choices; quiet, upscale and well-built interior with a roomy backseat; long list of standard safety and technology features. Source: Edmunds -**ORIGINAL MSRP $62,570** **MERCEDES-BENZ CERTIFIED** **PREMIUM PACKAGE** **PARKING ASSISTANCE** **LANE TRACKING** **NAVIGATION** **HARMON KARDON SOUND** **TRAILER HITCH**, 115V AC Power Outlet, 19 5-Spoke Alloy Wheels, Accessory Chrome Package, Brushed Aluminum Running Boards, Chrome Door Handle Inserts, harman/kardon® Logic 7® Surround Sound System, Heated Multifunction Steering Wheel, Hood Fin Covers, KEYLESS GO, Lane Tracking Package Code, Navigation System, Navigation Updates For 3 Years, Parking Assist Package, Parking Package, PARKTRONIC with Active Parking Assist, Premium Package, Radio: COMAND® System with Navigation, Region Coding, Single DVD Player, SIRIUS XM Satellite Radio, Surround View Camera System, Trailer Hitch. 2016 Mercedes-Benz GLE Odometer is 13068 miles below market average! **ORIGINAL MSRP $59,325** **MERCEDES-BENZ CERTIFIED**, **PREMIUM 1 PACKAGE** **APPLE CAR PLAY / SMARTPHONE INTEGRATION** **BLIND SPOT ASSIST** **LANE KEEPING ASSIST** **NAPPA LEATHER STEERING WHEEL** **MIRROR LOGO PROJECTORS** **KEYLESS-START** **BLUETOOTH **, **USB/MP3 COMPATIBLE**, **REARVIEW CAMERA**, **NAVIGATION/GPS**, **HEATED SEATS**, **ACCIDENT FREE**, **ALL WHEEL DRIVE**, **ONLY 2 PREVIOUS OWNERS**, **GREAT CONDITION**, **PRICED TO SELL**, **FRESH TRADE**, **NON-SMOKER**, 115V AC Power Outlet, 19 5-Spoke Wheels, Android Auto, Apple CarPlay, Blind Spot Assist, KEYLESS GO, Navigation Updates For 3 Years, Premium 1 Package, Radio: COMAND® Navigation, Region Coding, Single DVD Player, SiriusXM Satellite Radio, Smartphone Integration. 2017 Mercedes-Benz GLE Morrie's Mercedes Benz of St. Paul stands adamant that the experience of selecting and acquiring a luxury vehicle reflect the craftsmanship and performance of the vehicle itself. We offer an uncommon shopping and ownership experience, personally tailored to your interests, needs and schedule, resulting in an effortless, joy filled engagement. Each offering within our curated used collection is vetted, inspected and reconditioned by Morrie's Luxury Auto giving you the utmost confidence when selecting your new vehicle. Awards: * 2017 IIHS Top Safety Pick+ Reviews: * Several engine choices; quiet, upscale and well-built interior with a roomy backseat; long list of standard safety and technology features. Source: Edmunds * Balance of comfort and performance makes it an appealing daily driver; solid fuel efficiency from the standard four-cylinder engine; plenty of room for adult-sized passengers in back; a long list of advanced safety features are available; elegant design inside and out gives it a true luxury appearance. Source: Edmunds * Balance of comfort and performance makes it an appealing daily driver; solid fuel efficiency from the standard four-cylinder engine; plenty of room for adult-sized passengers in back; elegant design inside and out gives it a true luxury appearance. Source: Edmunds -**ORIGINAL MSRP $59,325** **MERCEDES-BENZ CERTIFIED**, **PREMIUM 1 PACKAGE** **APPLE CAR PLAY / SMARTPHONE INTEGRATION** **BLIND SPOT ASSIST** **LANE KEEPING ASSIST** **NAPPA LEATHER STEERING WHEEL** **MIRROR LOGO PROJECTORS** **KEYLESS-START** **BLUETOOTH **, **USB/MP3 COMPATIBLE**, **REARVIEW CAMERA**, **NAVIGATION/GPS**, **HEATED SEATS**, **ACCIDENT FREE**, **ALL WHEEL DRIVE**, **ONLY 2 PREVIOUS OWNERS**, **GREAT CONDITION**, **PRICED TO SELL**, **FRESH TRADE**, **NON-SMOKER**, 115V AC Power Outlet, 19 5-Spoke Wheels, Android Auto, Apple CarPlay, Blind Spot Assist, KEYLESS GO, Navigation Updates For 3 Years, Premium 1 Package, Radio: COMAND® Navigation, Region Coding, Single DVD Player, SiriusXM Satellite Radio, Smartphone Integration.